1) Print them on sticker paper, and make stickers!! (I printed mine quickly using iPhoto's "Contact Sheet" option.) I pasted mine on my guitar (a work in progress that I will someday share) but you can paste them anywhere. 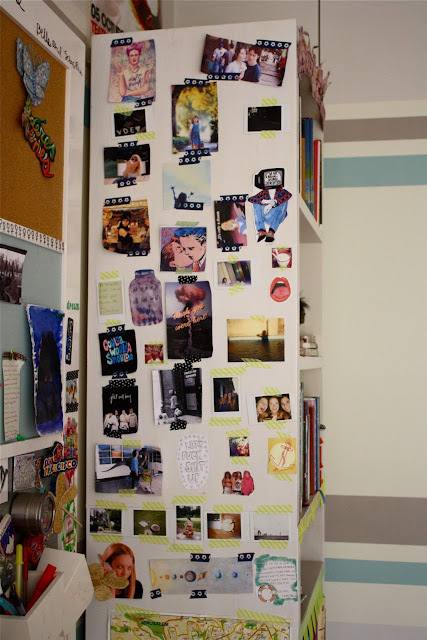 4) Decorate your room! Make a real-live Tumblr Board! Mine is currently a horrible thing but I will make it look pretty enough in due time. PPS. This is only part one! I will post a second part to this with more ideas of what you can do with Tumblr pictures. Very inspiring, I love the idea of a real life tumblr, and the guitar here is so beautiful, I wish I had more time to do collages, cause I really love them ! this post is lovely! I have been making "tumblr books" for years. everything you made looks amazing! This is very creative! I love the sticker idea.